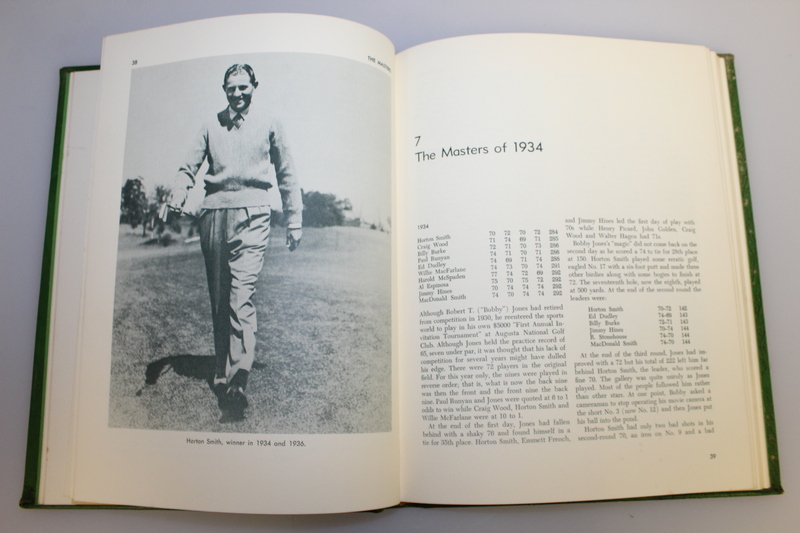 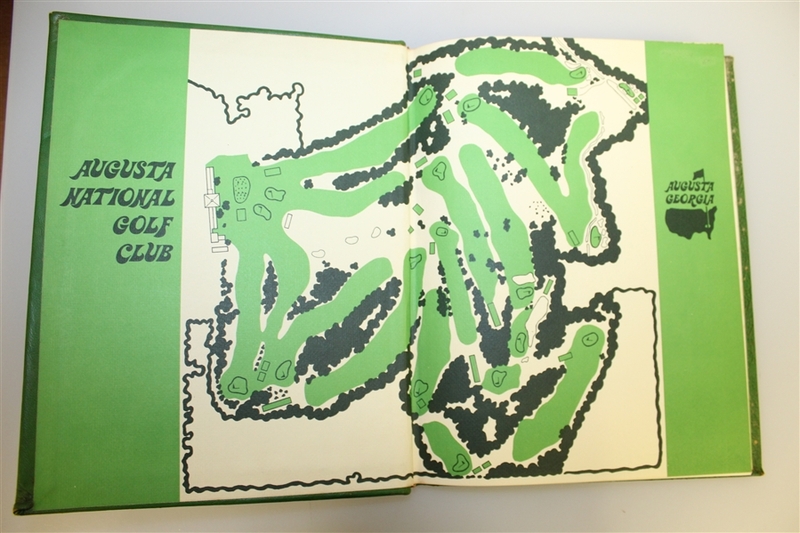 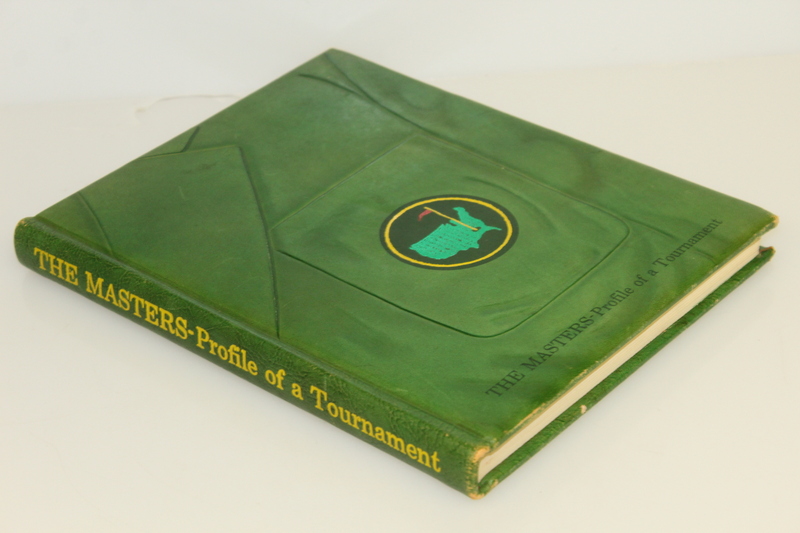 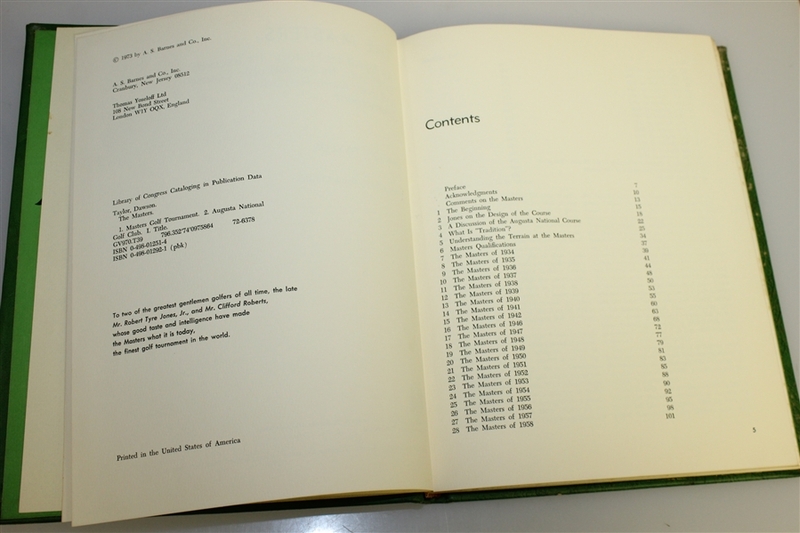 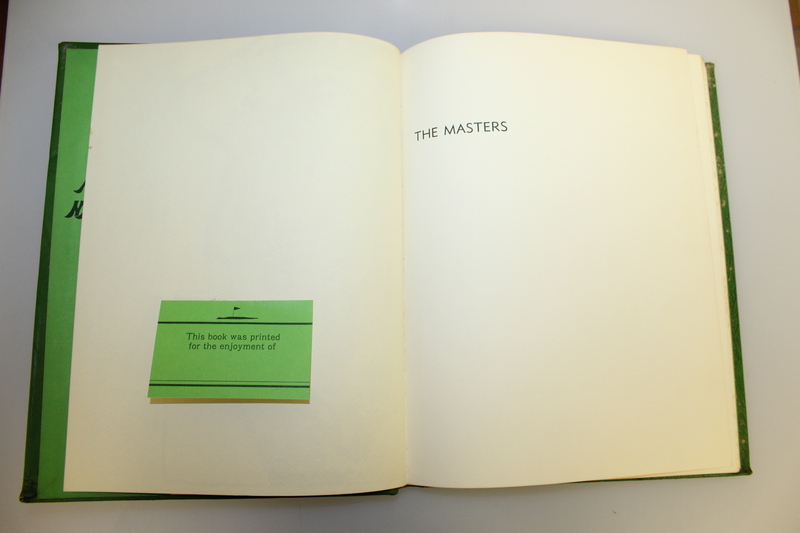 A must have for your Masters library, this copy of the 1973 "The Masters: Profile of a Tournament" comes in great condition. 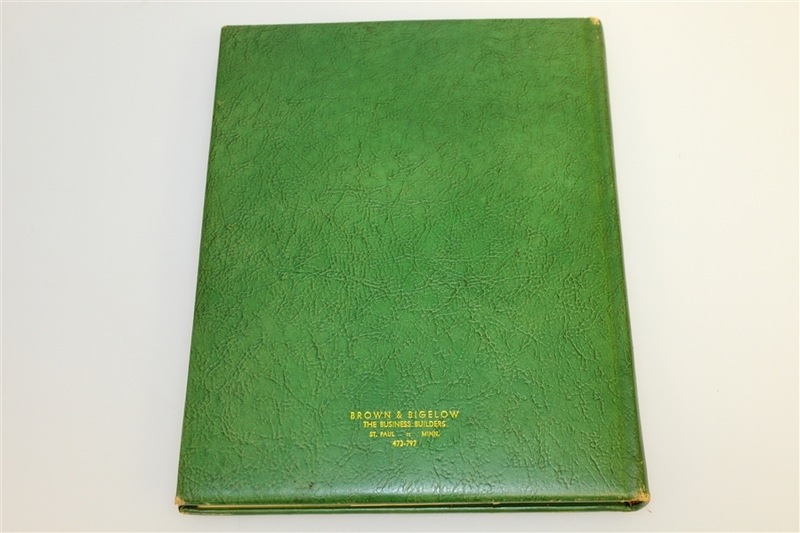 Bound in handcrafted mission leather by Brown & Bigelow, St. Paul, Minnesota, 1973 copyright by A.S. Barnes and Co., Inc. 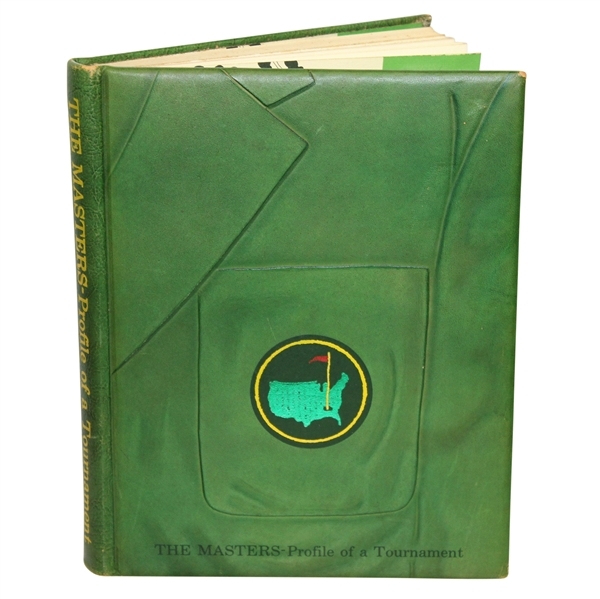 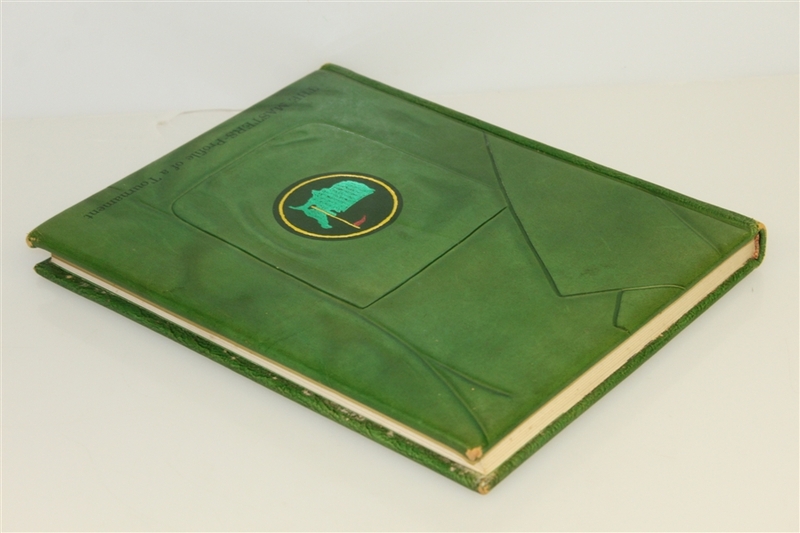 The cover is made to look like the green jacket awarded to Masters champions. 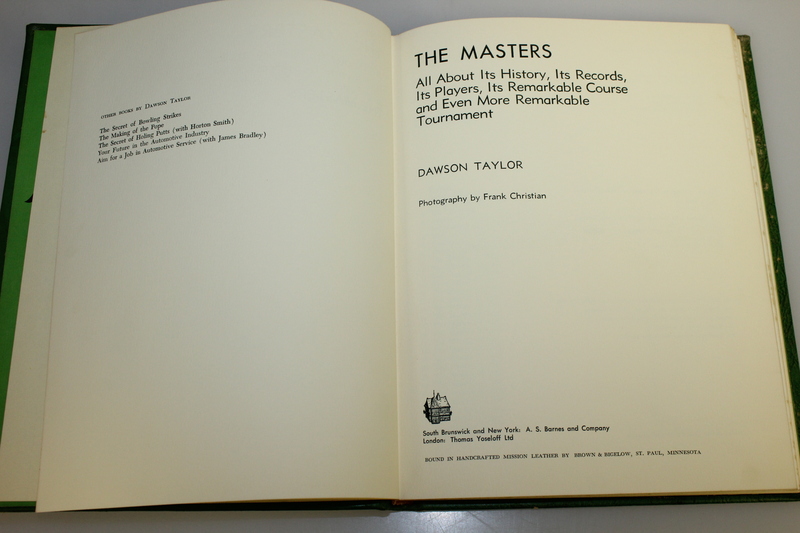 This historical review of the Masters Tournament also features photography from Frank Christian.